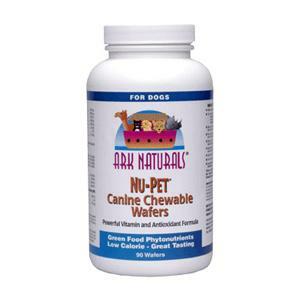 Nu-Pet® Canine Chewable Wafers provide additional vitamins, minerals, antioxidants, with a taste your pet is sure to love. Powerful Vitamin & Antioxidant Formula Full of Great Taste & Low in Calories Too. 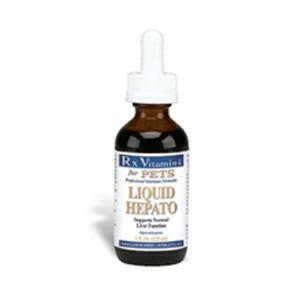 Recommended by vets for use as your pet’s daily vitamin. 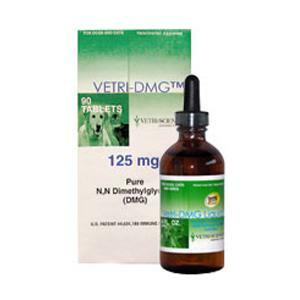 Excellent taste and ease of use make this a terrific choice for a daily vitamin treat, arthritic dogs and any animal needing antioxidant support. Why should I choose to use Nu-Pet Canine Chewable Wafers? Wheat grass: source of chlorophyll, magnesium, phosphorus and potassium, Wheat grass also contains all known vitamins and trace elements. Barley grass: source of calcium, iron, all essential amino acids, vitamin C, the flavonoids and vitamin B12. Alfalfa: powerful anti-inflammatory and a source of chlorophyll, magnesium, phosphorus, and potassium. Selenium: stimulates the immune system. Desiccated liver: aids in building red blood cells, and helps resolve issues of anemia. 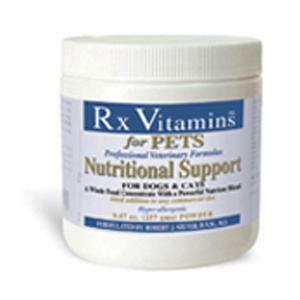 Increases your animal’s healthy energy and relieves physical stress. Contains: measurable amounts of SOD (superoxide dismutase) Essential to help protect against free radicals that cause cellular damage.